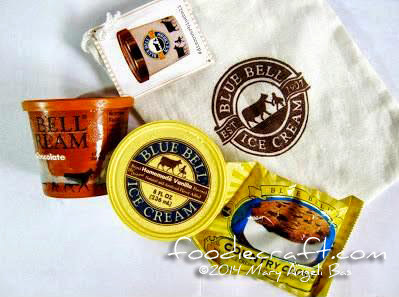 Blue Bell has a devotion to old-fashioned ideas you don't see much of today. They've been making ice cream the same way in the United States for decades- choosing the finest, freshest ingredients to make the very best product, and then offering that great-tasting ice cream to customers and consumers at a price that is of real value. Carrying flavors such as Homemade Vanilla, Butter Crunch, Chocolate Chip Cookie Dough and the original Cookies ‘n Cream in half pints, Strawberries and Homemade Vanilla, Moo-llenium Crunch, and Red Velvet Cake in whole pints, Blue Bell Ice Cream caters to every craving. In Cebu Blue Bell Ice Cream is available in pints, half-pints, and single-serve snacks at Rustan's Supermarket Ayala, One Pavilion Mall Banawa, Gaisano Country Mall, David's Kitchen, Shangri-La's Mactan Resort and Spa, BE Resorts, Mooon Cafe Ayala and I.T. Park, the Blue Bell PH office at Room 205, TPE Building, Banilad Cebu City during office hours and every Sunday at the BTC Market located at the Banilad Town Centre Lobby.